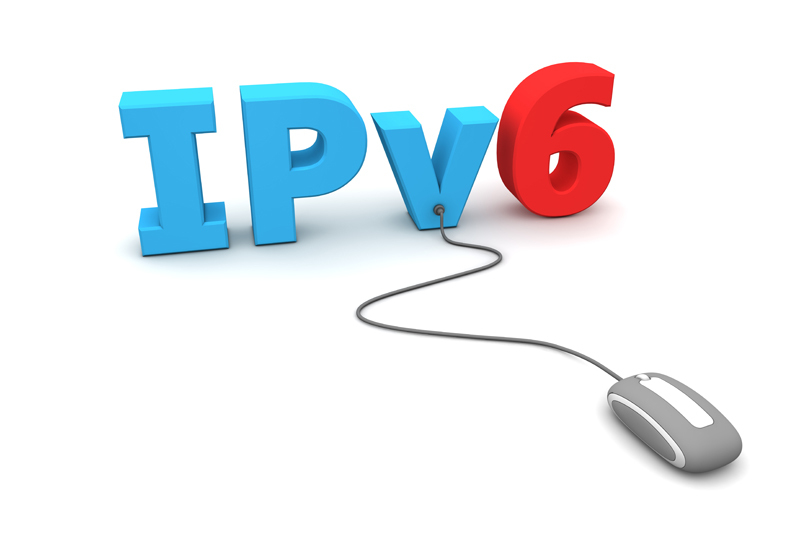 Proponents of IPv6 tell us that we are running out of IP addresses. With some 6.5 billion people in the world, the 4,294,967,296 available IP addresses under IPv4’s 32 bit address scheme are slowly disapaiting. Where close to 4.3 billion addresses may seem to be more than enough, as we approach the end of the address pool, band-aid fixes such as NAT (network address translation) is already being used by many businesses to save address space in the IP range that they are allotted. Businesses aren’t the only ones who are using up all of the available addresses. Other contributors are; multiple computers in the home, cellular phones, and the rise of streaming media services such as IPTV. With 340 undecillion (3.4×1038) addresses available, Ipv6 looks to be a long term solution to the address shortage. IPv6 addresses are written in eight groups of four hexadecimal digits. Out of the 128 bits that comprise this address, 64 bits make up the network prefix, and 64 bits make up the host part. Its predecessor, IPv4 utilizes binary, giving it a 32 bit address. The network prefix alone doubles the entire allotment in an IPv4 addressing scheme thus allowing one network, or segment, to assign addresses to multiple hosts without the need for network address translation. Under IPv6 each of the 6.5 billion people of the world is allotted 50 octillion (that is 50×1028) addresses. Under IPv6, IPSEC (IP security) is mandatory. IPSEC encrypts the packet in one of two ways, the tunnel method which encrypts both the header and the data of the packet, and the transport method which encrypts only the data portion of the packet. IPv4 makes IPSEC optional and for many novice users, it can be difficult to configure. IPv6 makes autoconfiguration, such as DHCP in IPv4, much easier. IPv6 utilizes both stateful autoconfiguration, which utilizes a central server to manage addressing, and stateless, which does not use a server. Instead, stateless autoconfiguration allows the host to propose an address. Since the address space is so large, it will most likely be unique. Due to the simplicity involved, stateless autoconfiguration is the default. Traditionally, a message, or data packet, is sent to only one computer. Multicasting allows a message to be sent to multiple computers at once. Under IPv4 multicasting is optional, rarely deployed across routers, and is difficult for a beginner to configure. Under IPv6, multicasting is built into the base protocol suite, thus making it native for all IPv6 hosts in a group with a hop count of one. IPv6 is definitely the future of networking. Its adoption has been slowed by technologies such as NAT, however with the US Government requiring all federal agencies to deploy IPv6 by the year 2008, its adoption in the home and business world is just around the corner. NEXT POST Next post: What is a Network?